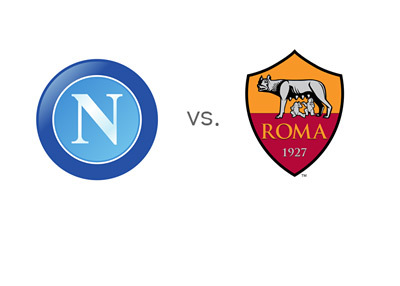 Napoli and Roma meet again in the second leg of the Coppa Italia (Italian Cup) semi final on Wednesday, February 12th, 2014. The score from the first leg is 3-2 for Roma. S.S.C. Napoli made their way to the semi finals by eliminating Atalanta and Lazio. Rafa Benitez's team are third in the Serie A standings at the moment, four points behind Roma (who have played a game less) and thirteen points behind Juventus. In their most recent match, Napoli beat Milan at home with the score of 3-1. Gonzalo Higuain and co. are also battling in the UEFA Europa League where they have a game coming up vs. Swansea City on February 20th. Gli Azzurri (The Blues) have only lost at home once this season. Roma most recently drew 0-0 in the league with their city rivals, Lazio. On the way to the cup semis they eliminated Sampdoria and Juventus. Francesco Totti and his teammates are undefeated in their last eight games across all competitions and have only been beaten once this entire season. The first leg game in Rome last week was awesome! Gervinho scored twice for the hosts, including the victory goal in the 88th minute. According to the odds, Napoli are the favourites to win on Wednesday, while the visitors, Roma, are the favourites to advance to the final. Looks like it will be a tight one! The kick-off is at 8:45pm local time. The winner will face the winner of Fiorentina vs. Udinese in the Coppa Italia final, which will take place on Saturday, May 3rd, 2014.